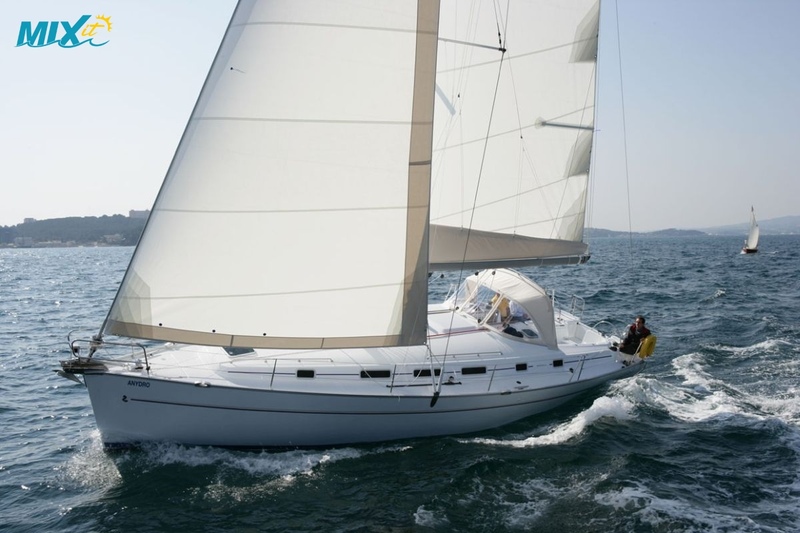 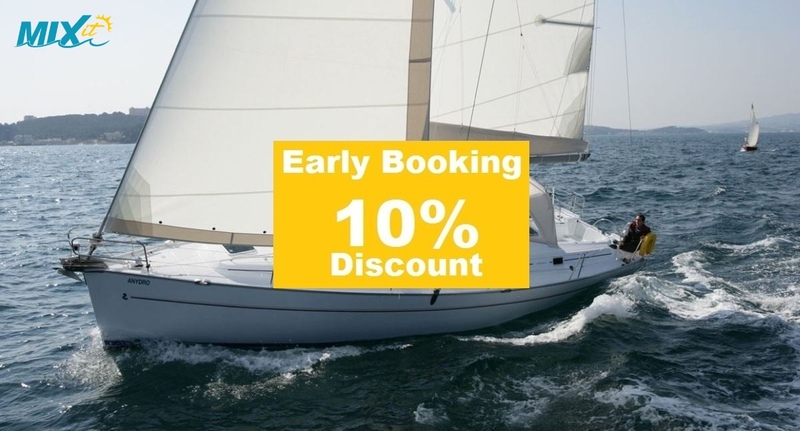 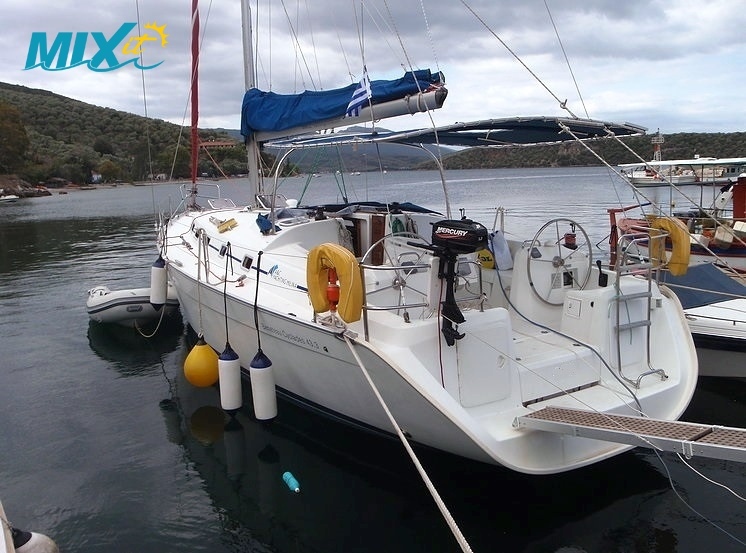 This Beneteau Cyclades 43.3 is a large 3 cabin yacht with 3 en-suite bathrooms providing comfort and performance sailing with the full batten main.The yacht is a spacious 3 cabin yacht providing a lot of internal space accommodating a group of 6 to 8 persons (main saloon converts). 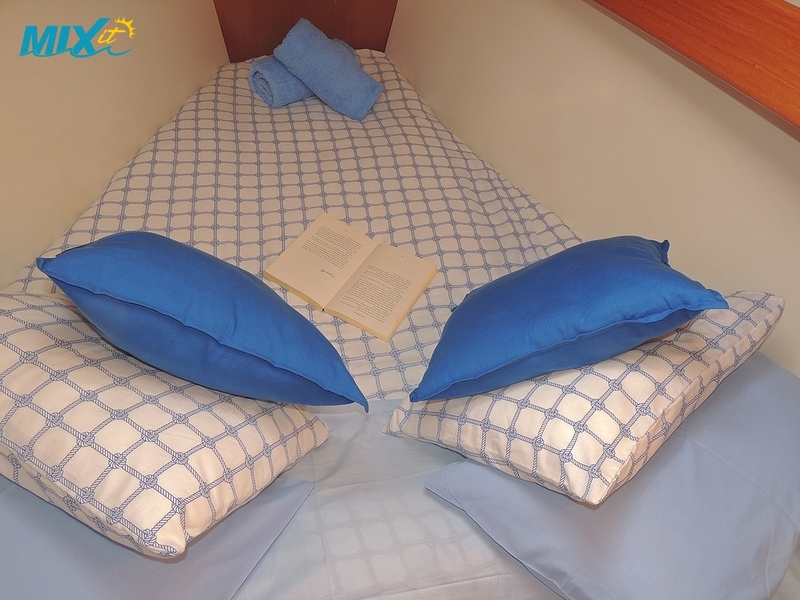 Accommodation is provided with 3 double cabins all with en-suite bathrooms. 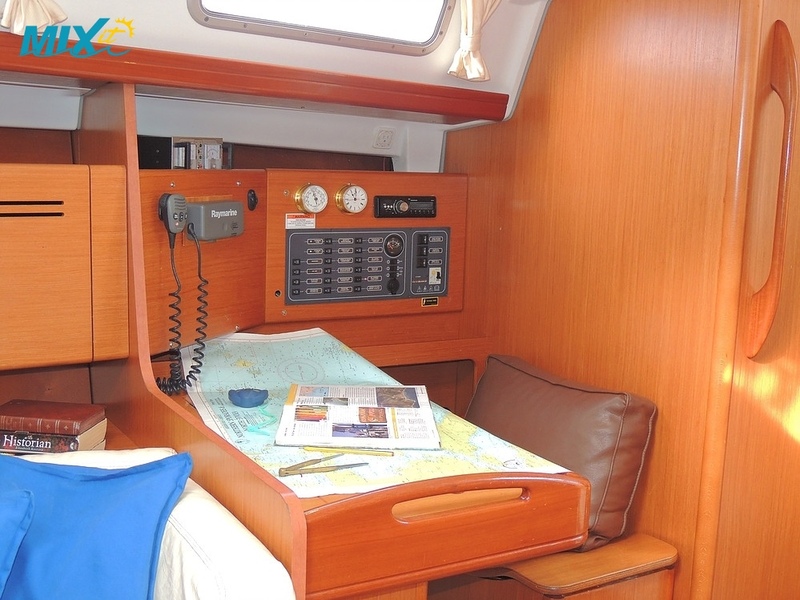 A beautiful, bright saloon of light wood and galley with large chest freezer and Nav station area.The Cyclades 43.3 has a wide Cockpit with twin wheels and enough seating for all the crew. 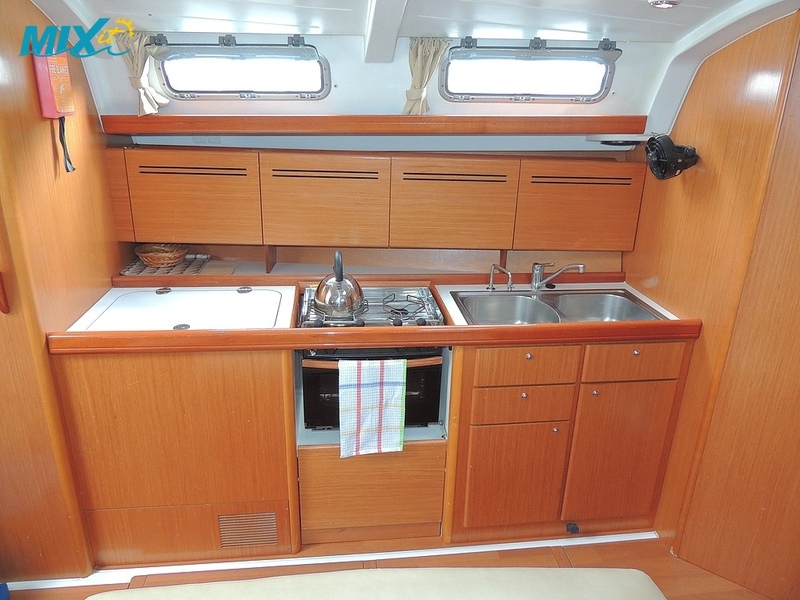 A drop-leaf cockpit table provides space when sailing and comfort when dining. 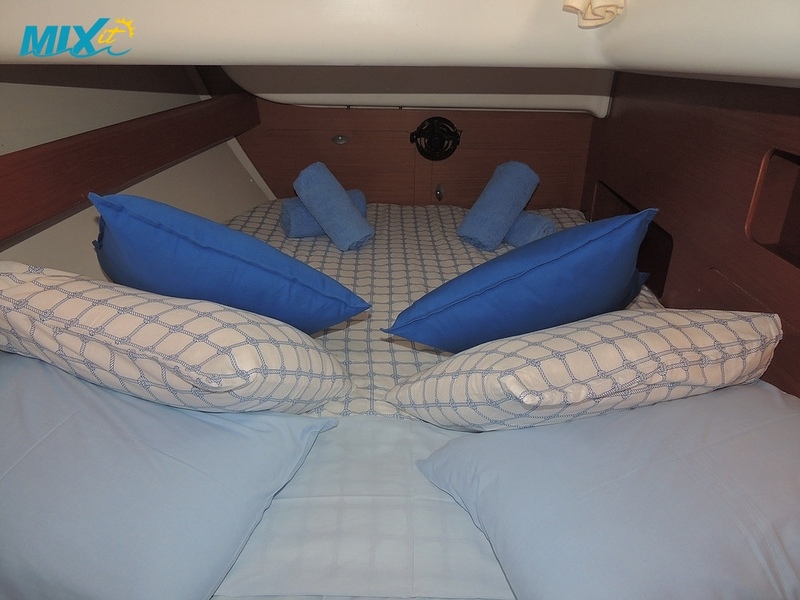 Full batten main with lazybag and roller Genoa provides performance when required and a large bimini top and spray hood cover when needed. 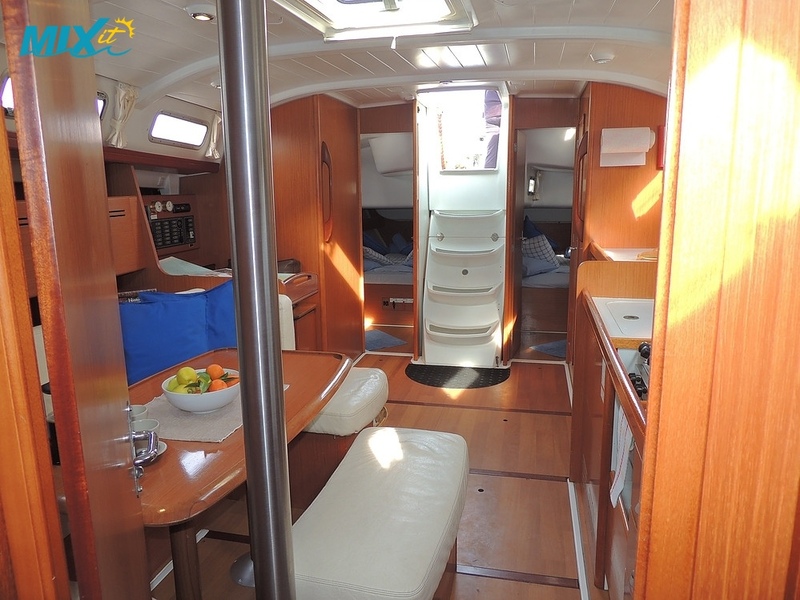 On the stern you have a bathing platform, swimming ladder and deck shower.